Luigi Cozzi, an Italian film maker, wanted to bring Godzilla to Italian theaters in 1977. Seeing the success of the 1976, version of King Kong, Cozzi pursued a re-release of Godzilla. Unable to secure the original Toho film, he did manage to get the rights to the American edit, Godzilla, King of the Monsters. Told that theaters would be wary of a black and white film, he hired Armando Valcauda to convert the film from black and white to color. In three weeks. He also added 70's era electronic music and stock footage increase the run time. The result is a a film based on the American edit of the original Japanese, with the English dubbing redubbed into Italian, and bearing the indelible stamp of Luigi Cozzi. The shots of this film will be watery and grainy. Like Attack of the Giant Moussaka, it has never been released on home media in America. In fact, I don't believe it has been released on home media anywhere in the world. The copy I was able to find on Youtube is just ninety minutes, apparently because it was taped from a cut-down version broadcast on Italian television. Watching it brings back all those memories of the fragility of videotape. Of course the destruction of Tokyo is the most watched part, and therefore the part that cuts out the most. It's strange to me that this version is only available in such bad shape. Even Pulgasari is available in better condition. Update: Geno Cuddy has restored the original elements of Cozilla, and if you look on the web, you should be able to find it. Cuddy has done an good job of cleaning the film up, the picture quality is much sharper than the watery Youtube version I originally took the screenshots from. Five years ago, I didn't think there would ever be a version of this film available, so hats off to Mr. Cuddy for doing an excellent job. Cozzilla opens with scenes of daily life in Tokyo. People walking, going about their daily lives. There's even some footage of people using a bridge that Godzilla will later destroy. 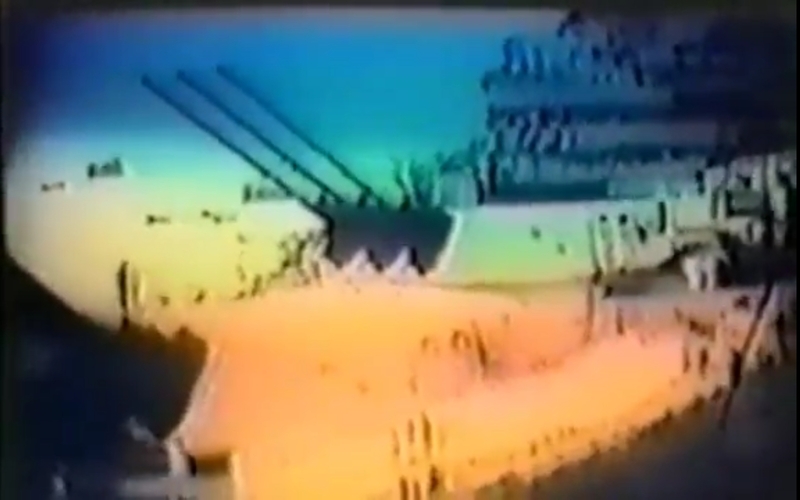 And then there is footage of a nuclear detonation. The effect is quite shocking, especially afterwards when we are shown images of charred bodies from the nuclear attacks. Cozzi's film differs from the Raymond Burr version primarily in its use of stock footage. So there are inserts here and there, usually clustered around the action scenes. 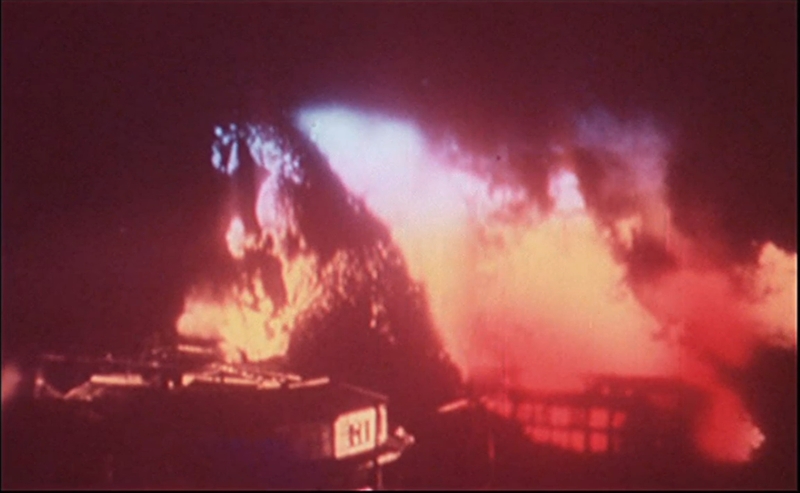 I believe, and it's difficult to be sure because of the quality of the reproduction, that there's at least one shot of a person being hit with a flamethrower during Godzilla's rampage in Tokyo. 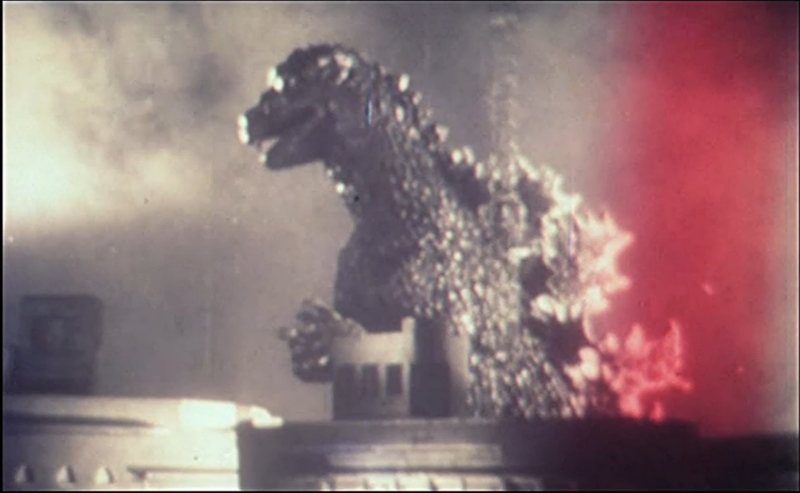 There's even a small bit taken from Godzilla Raids Again. The stock footage leads to the occasional absurdity, such as watching propellers rev up and then seeing jets on the attack. It also cuts directly across the anti-military stance of the Ishiro Honda's original film. 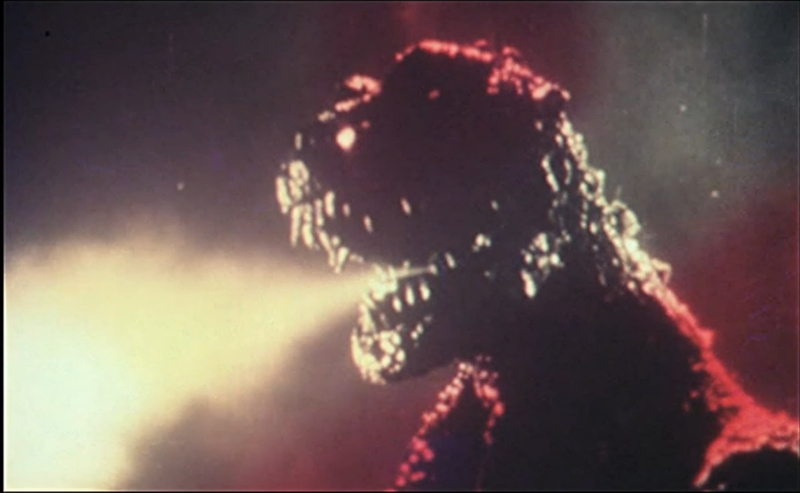 When Godzilla is being killed by the Oxygen Destroyer, it surfaces. Then we are given stock images of battleships blasting their guns, implying that they are assisting with the death of Godzilla. The stock footage used in the aftermath of the attack is particularly jarring. As Ifukube's beautiful hymn of peace soars, we get stock footage of charred bodies, corpses floating in the tide. This strips away the fantasy aspect of the film. We are looking at images of the dead, who were not killed by the metaphorical and nonexistent Godzilla, but by wars, bombs, and fire. What's the point of Godzilla as metaphor if the film will break through that metaphor and shows us the ugly reality behind it? Especially as the film revels in virtually every other aspect of militarism, with added planes, more explosions, more gunfire. Some things, I feel, are best left suggested in film, and if these added scenes had been actors in makeup, I would be less creeped out. But all that was added was stock footage. These are real people. And that makes it very difficult for me to watch this part of the film. 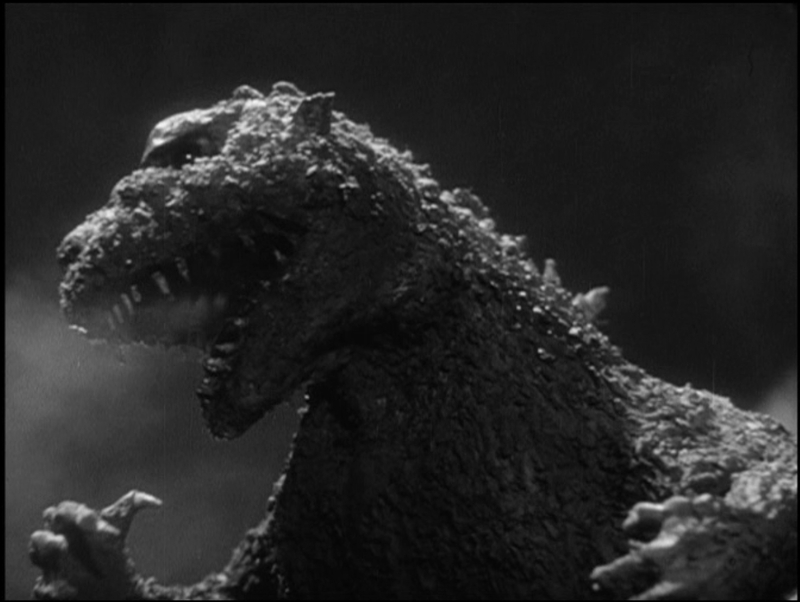 One thing that this version of the film does make very clear is how streamlined the original Godzilla is. There's little fat on the film, everything is there for a purpose, and serves it well. It is well paced. Terry Morse's re-edit of the film is a bit looser, making room for another character who is there to explain what happens on the screen. 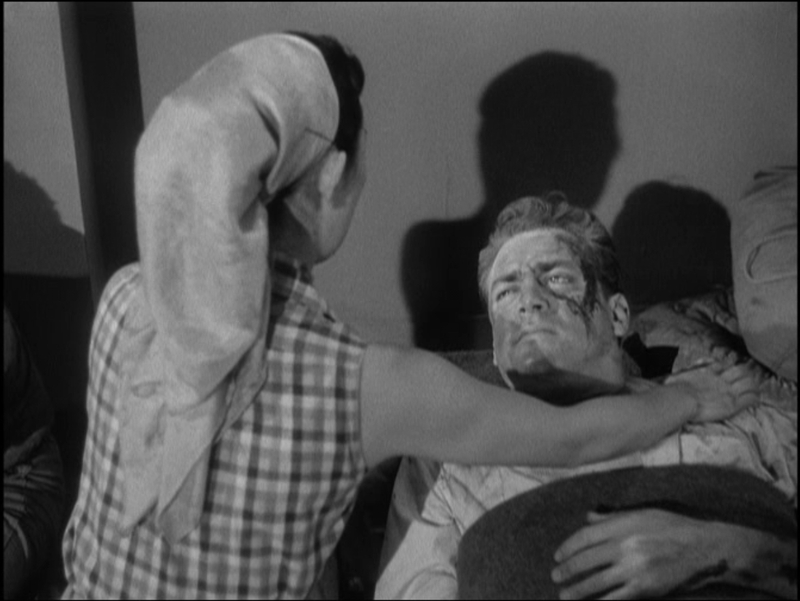 Cozzilla lacks Moore's more deft touch, partially because of the time and money constraints. But the footage added to Cozzilla often feels forced. Dr. Serizawa's descent to confront Godzilla at the end of the film is interrupted by a shark and an octopus fighting, the footage coming from Beast From 20,000 Fathoms. Which doesn't add anything but motion. It's not even action. Cozzilla is a product of a specific time and place, and a reflection of its creator, Luigi Cozzi. The seventies were a time of experimentation, and even established franchises like Godzilla, underwent transformations. Overall, it reminds me of Godzilla vs Hedorah, as an radical departure from conventional film making. I find it rather busy, especially in the foley department. During the attacks on Godzilla especially, the sheer chaos of the added bombs, machine-gun fire, and swooping airplane noises. Cozzilla was popular in Italy, and was definitely influenced by the giallo school of film-making. It's a little too lurid for me, but I can see that I'm becoming conservative in my taste in kaiju film: gore practiced with restraint, orchestral score. Ultimately, Cozzilla is a chore for me to watch. The narrative of the original film has been stretched and torn by two edits. There's an unfortunate amount of dramatic dead space, and the addition of authentic dead bodies gives me the creeps. It's a strange film, from a very different aesthetic than I'm used to in kaiju. Cozzilla is very much a product of its own time and space, as well as its creator, Luigi Cozzi. You can view the watery, multi-generation copy on on Youtube. Shin Godzilla will be coming out on the 29th. And I thought it was time to return to My Year of Monsters. I didn't write up the Terry Morse edit of Godzilla because I had the feeling it was beneath my notice. Just a bastardization of a classic I love. 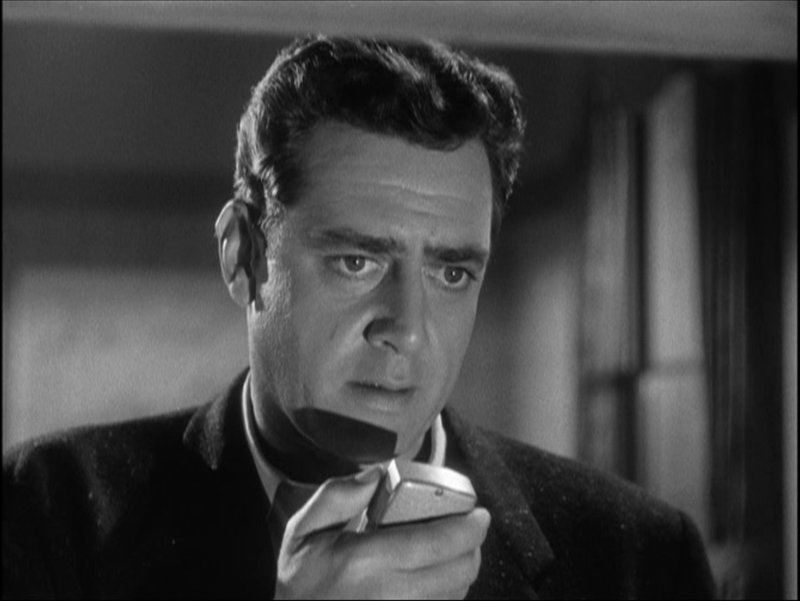 Raymond Burr as Steve Martin inserted into the already-existing film. Many people refer to it as the insulting, butchered, heavy-handed attempt to dumb down a movie to the point where it's easily digestible for American audiences. As if someone let Michael Bay add sequences to an Akira Kurosawa film. But again, David Kalat provides some much-needed perspective. Dubbing was the only way that a Japanese film was going to get any sort of audience in America in 1956. The film industry hadn't been around that long, and American audiences weren't prepared for something as complex as reading words and listening to the the intonation of the delivery in a different language. It's a developed skill. So dubbing a foreign film into English was in fact a huge act of faith by the distributor, since few films had been dubbed from Japanese, a nation that only eleven years before the US had been at war with. Acquiring the film only cost $2,500. The redub and reshoot cost $200,000. 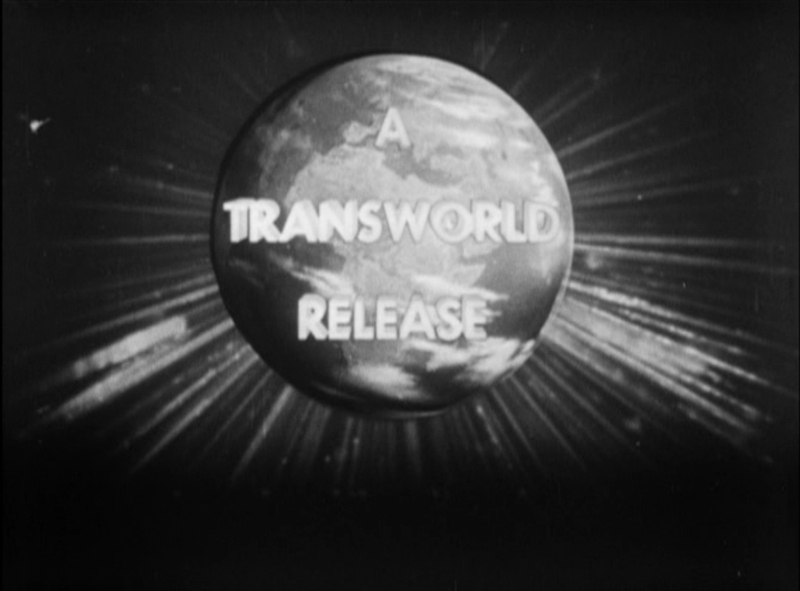 That said, there is nothing as indicative of what this film is as the Transworld Pictures logo places over the Toho starburst. the lower part of the screen is blacked out so the Japanese characters aren't visible. Very notable is the movement of the destruction of Tokyo to the very beginning of the film. Rather than build the tension in a documentary fashion, as the original did, King of the Monsters shows us the stakes right off. 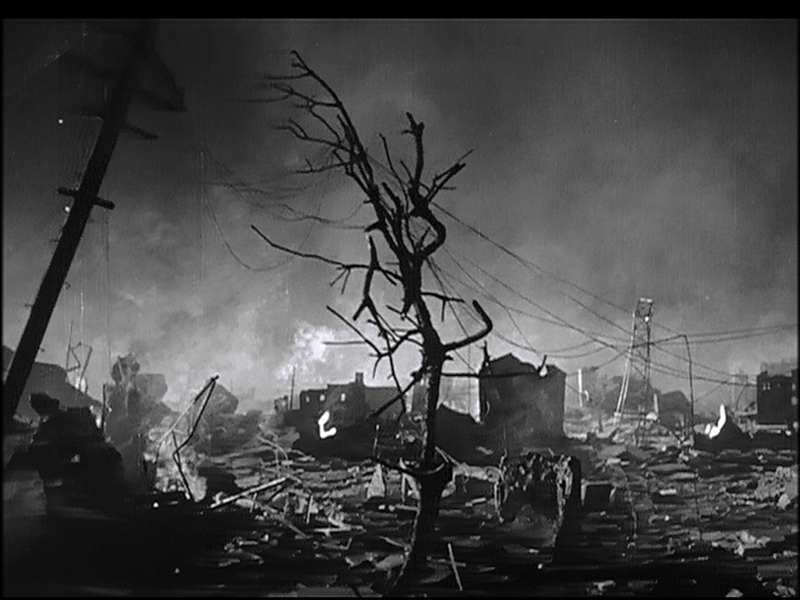 Tokyo has been devastated, and the majority of the film is flashback, narrated by Steve Martin (Burr). 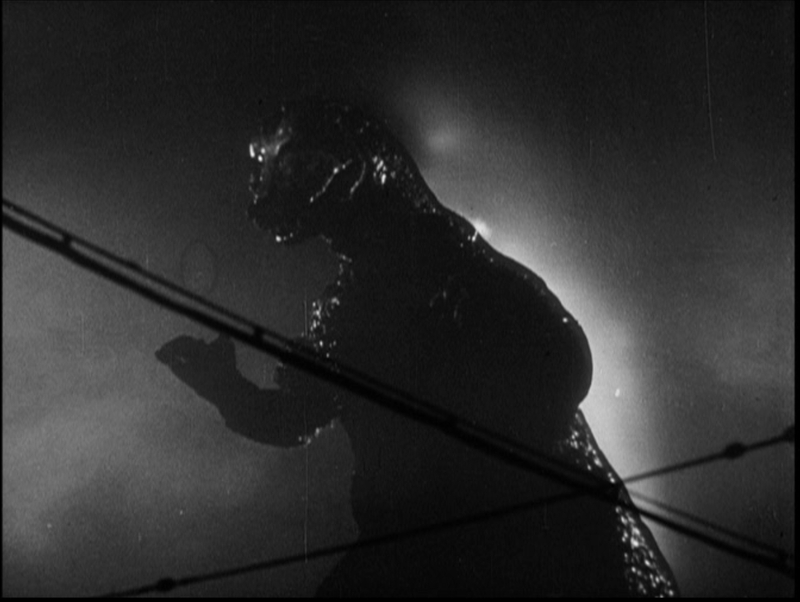 The new dub also makes a point of saying that the menace, not yet identified as Godzilla, is a global concern. The impression that the anti-nuclear testing theme of the story has been completely removed is, under close scrutiny, incorrect. Dr. Yamane says "It is my belief that Godzilla was resurrected due to the repeated experiments of H-bombs." The shot of the little boy being scanned with a scintillation counter remains. The end doesn't bring up the dangers of nuclear testing again. So the topic is mentioned, but not emphasized. Morse's insert shots aren't bad. Anyone who has seen the original several times can tell where most of the new scenes are, but they are not glaringly obvious. Thanks to back shots and dubbing, it's possible for Martin to interact with Emiko Yamane, the protagonist of the Japanese film. Even Dr. Yamane, briefly. Several times, Morse uses the sound of the Japanese film to link the transition from original footage to new, which works well. Additionally, Ishiro Honda's documentary style was a good canvas on which to overlay Burr's explanatory voice over. In an interesting mix of dubbing and inserts. Only the main characters are dubbed, Emiko, Professor Yamane, Serizawa. Virtually everything else is untranslated. Other scenes of untranslated Japanese are used, and then Martin's Japanese translator, Tomo Iwanaga, who will sometimes translate an ongoing scene. Poor Tomo apparently dies in Godzilla's attack in Tokyo, and is not mentioned or mourned. Fortunately, the scenes of Godzilla destroying Tokyo are primarily wordless, so these need virtually no treatment or adaptation. Dubbing, as a process is complex and more removed from the original than subtitling, for example. The speech has to be in a language with different rules of grammar, and yet the length of the line must match the amount of time the actor's lips move. Godzilla: King of the Monsters has mediocre dubbing at best, and there are some egregious parts, such as when Professor Yamane's dub actor, Sammee Tong, apparently could not pronounce “phenomenon” properly. Martin plays a part that is later echoed in many Godzilla films, that of the reporter. 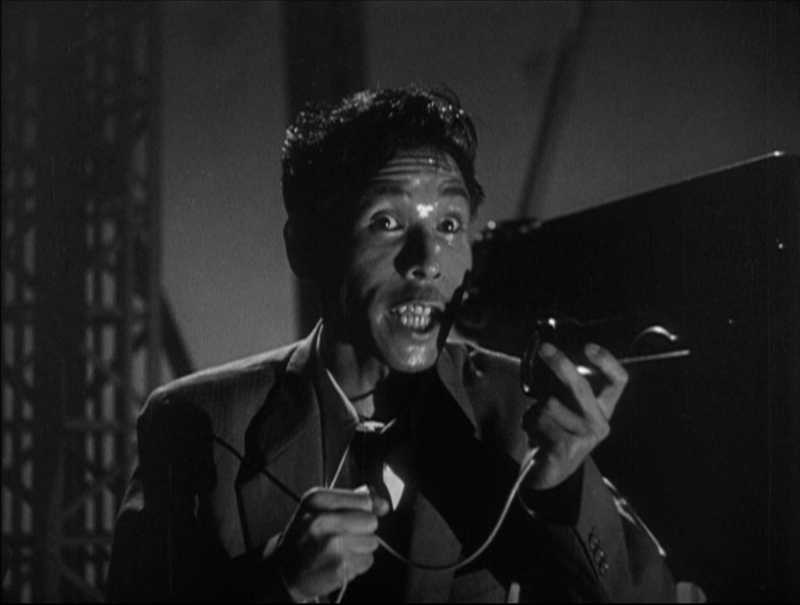 Beginning with Goro in Mothra, the reporter, the professional seeking truth, becomes a standard character of Godzilla films and the genre generally. Another change is the reputed height of Godzilla. Here, Martin reports that he is four hundred feet tall, a height not even achieved by the massive Legendary Godzilla, or even Shin Godzlla. Whether this was done to impress American audiences, or because everything in America is bigger, or just to sound cool for the trailer, I don't know. None of the footage has changed, so Godzilla doesn't look four hundred feet tall. Likewise, the electrical wires that are set up now carry three hundred thousand volts, rather than fifty thousand. David Kalat writes that Steve Martin's narrative during the destruction of Tokyo improves the tension of the scene, and this is one of the few times that I disagree with him. In horror, a select few writers who will only show what is happening without commenting on it. Many feel it necessary to tell us how terrible the thing the audience is being shown is. Honda's original scene is presented without commentary, without feeling the need to tell the audience how bad the destruction is. It trusts the viewer to make that conclusion. And we do. The sequence is filmed so well that it presents something of a platonic ideal of city-wide destruction. In later years this sequence would come to symbolize utter destruction. Martin's commentary is therefore gilding the lily, telling us how to feel about things that already sufficiently conveyed on screen. The part that probably inspired the character of Steve Martin, the radio reporter speaking as Godzilla approaches, is left intact. Further, Terry Morse left in one of the most powerful scenes, that of a woman hugging her children to her amid a shower of sparks. The impact is somewhat blunted, because we do not know what she is saying to them. The film stops being a flashback sixty minutes into the eighty-two minute run time. To give Martin more plot significance, he is the one that convinces Emiko to tell Dr. Serizawa to use the Oxygen Destroyer to kill Godzilla. To do so requires a very on-the-nose back and forth between Emiko and Martin, in which Emmiko says she can stop the destruction, but she promised Dr. Serizawa she wouldn't tell. It's a clumsy piece of writing, glaring because the rest of the translation isn't bad. There's another subtle difference in Serizawa's attitude that s also very telling. Here, he doesn't want the Oxygen Destroyer to fall into the wrong hands. In the Japanese version, any hands are in the wrong ones. 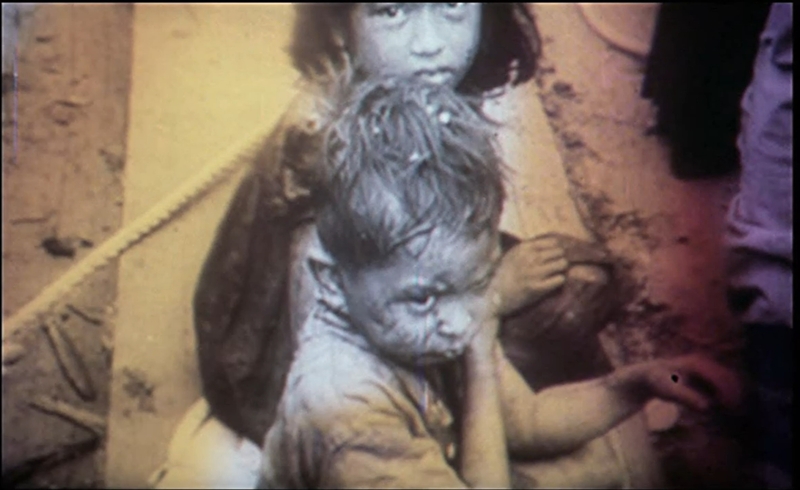 This represents, among other things, the difference in the experience of Japan and America during World War II. What's particularly strange about the ending is not that Dr. Yamane doesn't talk about the dangers of nuclear testing. But the rest of that removed speech conjured the possibility of a second Godzilla. Godzilla Raids Again had already been made when Godzilla: King of the Monsters appeared in the US. But film producers didn't often think of foreign franchises back then. 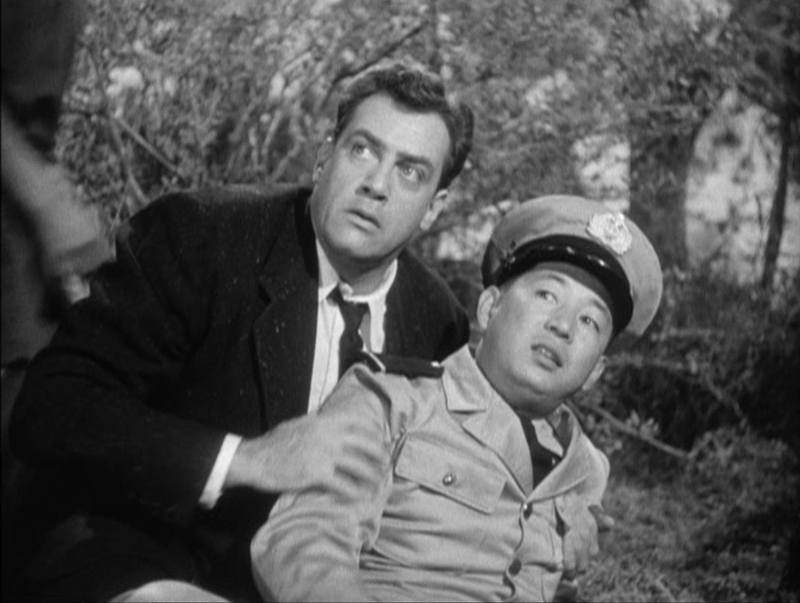 Whatever I think of the modification of Godzilla, King of the Monsters, Raymond Burr was proud to have played the character, and returned to play the same character again in the American version of The Return of Godzilla. Ultimately, however, the film's greatest failing is the voice-over. Rather than trusting the audience to draw their own conclusion about what was happening on-screen, Martin spells everything out, at length, sometimes repeating himself. That said, without the dub, the markets would not have sprung up to watch Godzilla in subtitled form. We first caught dubbed versions of Godzilla films flipping through the move channels. Without Godzilla, King of the Monsters, Godzilla likely would not have caught on in America, as I think world culture would have been poorer for it. I likely won't watch it again for fun, since the unadulterated version is easily available to me, and I have no nostalgic memory of this version. Why suddenly write this? Because next up is the 1977 Luigi Cozzi Godzilla, which is derived from Godzilla: King of the Monsters. And it'll be impossible to understand one without understanding the other.